Below are the appended bodies who meet within the Masonic Center. Grand Lodge of South Dakota A. F. & A. M.
Grand Lodge of South Dakota has a long legacy. 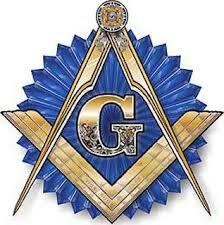 Masonry, also known as “Freemasonry,” is the oldest and largest fraternal organization in the world. Its main purpose is to make good men better. These clinics are instrumental in bringing needed speech and audiology services to children who need them. Eliminating speech or language problems can be a life changing event for a child. Through the South Dakota Scottish Rite Foundation we provide graduate level fellowships to over a dozen students at the University of South Dakota Department of Communication Sciences and Disorders each year. By epitomizing timeless values, and accepting the challenge of leadership – both of character and of action – the young men of DeMolay transform themselves into citizens of the highest caliber. Today, there are SRCLP clinics, centers, and special programs operating or planned for children and therapists located throughout the United States. Each facility is staffed by speech-language pathologists or other trained personnel. Through the support of Scottish Rite members, these clinics, centers, and programs continue to increase. The value of this philanthropy has long been apparent. Tens of thousands of youngsters across the United States have been helped significantly. With the good work of dedicated clinicians and parents, the Scottish Rite has achieved successes that could only be imagined a few years back. Children who might have remained educationally behind for a lifetime can now talk, read, and lead productive lives. Assisting Children to Smile (A.C.T.S. ), was founded in 2005 as a joint project of the WGM Jan Hadrick and WGP Deach Koch as part of their Grand Session with the goal of making sure every child has the confidence and pride that comes along with a perfect smile. A.C.T.S. achieved 501(c)(3) status in September of 2013. That following October, the A.C.T.S. committee that was administering the program was dissolved and a board of directors was created. Through relationship with local businesses and leaders in the community and the Grand Chapter of South Dakota we strive to make an impact in the community. By assisting families who cannot afford the financial burden of braces, filings and life altering surgeries A.C.T.S. is able to change the lives of children one smile at a time. Bethel #38: Job’s Daughters is a girls youth organization that teaches leadership, community service, and friendship in Sioux Falls, SD.